Whenever I go out to dinner with a bunch of friends, and we split the check, multiple people wind up throwing in those heavy, slate-grey credit cards bearing Amazon’s smiley arrow. 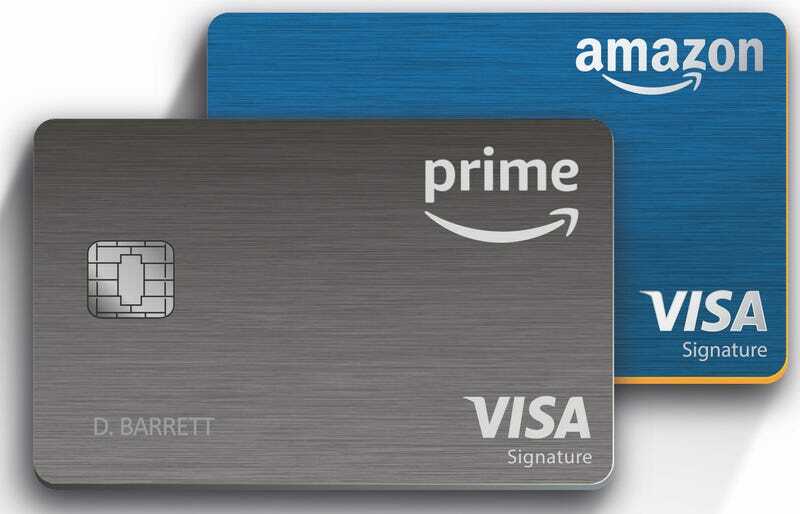 Almost everyone I know has the Amazon Prime credit card because it comes with a killer rewards program, especially if you’re an Amazon Prime member—five points for every dollar you spend at Amazon and Whole Foods, and two points for most dollars spent elsewhere. There are lots of “co-branded” cards out there, for other retailers, all the airlines, hotels, even sports teams—but given how often we’re all buying stuff on Amazon, which is estimated to account for 50 percent of all online commerce in America, we’d be crazy not to use it. Many of us use the Amazon card for all of our purchases, on and off Amazon. But what’s the cost to our privacy? People worry about how much Google and Facebook know about them, but Amazon is increasingly sucking up incredible amounts of data about individuals, too, such that it knows if you’re friends with the person whose book or product you’re reviewing. Amazon already knows what we’re buying on Amazon and in Whole Foods. What if it knows what we’re buying everywhere else too? Knowing what everyone buys every day is powerful for predicting their future behavior and further monetizing them (as other tech giants well know). Amazon could use insights into what people are buying from other businesses to better compete with those businesses and increase its stranglehold on the American economy. So what does Amazon learn about me when I use this card? I was surprised and annoyed that Amazon couldn’t answer a question that’s not particularly difficult or unreasonable: What does Amazon learn about people who have Amazon Prime credit cards? Chase is the issuing bank, so it is the controlling party. I sent the bank’s spokesperson, Mary Jane Rogers, a few emails before I got a response. She sent me boilerplate privacy materials about the cards the bank issues and apologized. “Sorry, this is as specific as I am able to share,” she wrote in an email that left me feeling even more spooked about what Amazon knows about me. I asked what category fits a “co-brand partner,” which is Amazon’s official designation. Was it an “affiliate” that gets “information about your transactions and experiences,” personal information whose “sharing” cannot be limited? “Yes, I’m confident it’s that one,” Rogers wrote back. So I emailed Ruge again asking if it was true that Amazon was getting information about my “transactions and experiences,” which I took to mean everything I buy with the card and how much I spend, giving Amazon insight into people’s spending outside of Amazon. Okay but that’s what Chase, Amazon’s ostensible partner, had told me. I wrote back, expressing my frustration. Rightly pointing to the definition of “affiliate” on Chase’s page, which defines it as a company owned or controlled by JPMorgan Chase, Ruge said that’s not what Amazon is. She said my conjectures about what information Amazon was getting were inaccurate. “Unfortunately I cannot share anything beyond that,” she ended her email. I’ve had an easier time getting information out of a spy agency. I turned to experts on credit cards for help. They were all stumped, too. The National Consumer Law Center said data-sharing agreements between companies that issue credit cards together are private, and that only the companies could tell me. Other experts said the same thing. “The information sharing between AMZ and JPM would be a feature of their contractual agreement with each other and not something I would know,” said the U.S. Pirg’s consumer director Ed Mierzwinski. Ted Rossman, an analyst at Creditcards.com, was also stumped. “I suspect there is a lot of data that they are mining from this,” he speculated. But when I reached out to the Finance Buff, Harry Sit, he, too, had no idea what data Amazon gets. It was a very unsatisfying hunt for an answer, but there’s a clear takeaway: If you have the Amazon Prime Chase card and you’re worried about Amazon getting more data about you, only use it to buy things from Amazon and Whole Foods. Amazon knows what you’re buying there either way.